One of the goals I made for myself this month involved fixing my hair and doing my makeup everyday. I see how that might sound completely silly, but between a lot of work-at-home days and being a horrible sweaty monster moving into a new apartment, these things had really become last priority. And I was feeling much less than my most beautiful self. The thing about it is, I truly love beauty: hair, makeup, nails, whatever. It's just fun, right?! So I set this goal to kind of challenge myself to bring the fun back into it, and it definitely has! 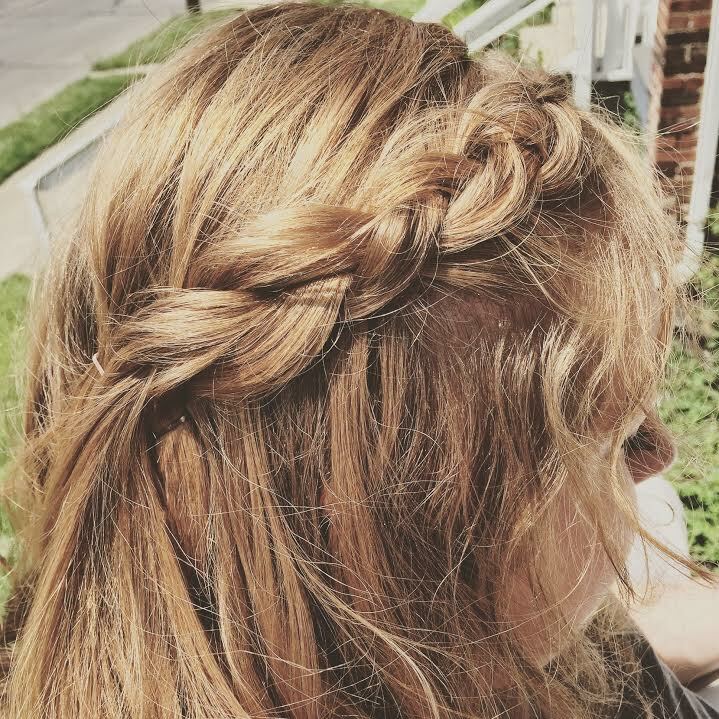 Whether it was trying a darker lip color, a fun mani, or an easy braid, I was really only spending a couple of minutes more than in my regular routine but it was a whole lot more inspiring! I liked it so much, in fact, that I created a beauty-related Instagram challenge for July to keep the fun going! In the meantime, why not head on over to my Instagram and make sure you're following? July is already starting to look so much more beautiful!